Today we’re chatting about my top nail care products, including my favourite nail polishes. Boy, was it a struggle to narrow down my list of manicure must-haves – I initially wanted to feature almost 20 products but eventually gave myself a stern talking to and whittled it down to only my top of the pops products. Nothing makes me feel more polished (excuse the pun) than sporting a fab manicure. Sure…a good manicure isn’t too hard to come by, but a winning manicure – that’s a whole different ball game. 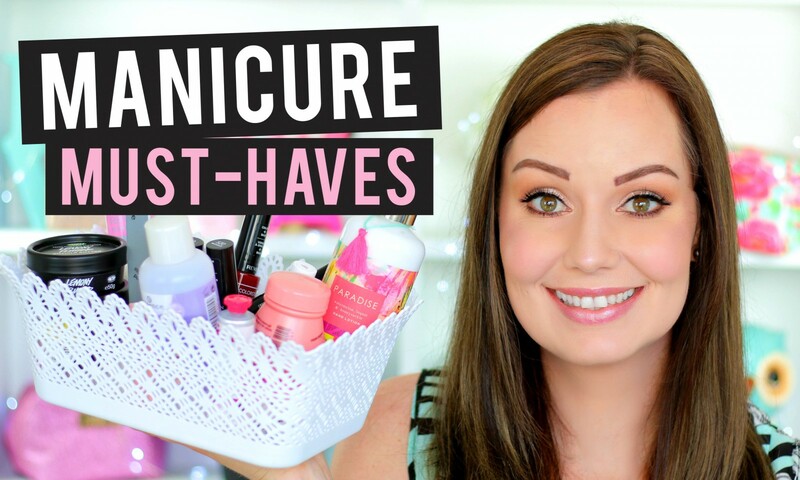 In today’s video I show which products I have been LOVING lately (some I have actually been loving for years), plus I have also included a demo for you on how I like to paint my nails. If you struggle with chipping manis, or maybe it looks like a 4-year-old painted your nails? Don’t fret, check out my ‘How To: The Perfect Manicure’ video here (I filmed that video about 2 years ago, and people stil enjoy watching it). In this video, however, I’ll hopefully introduce you to your own future favourites. Grab a cup of yummy (today I’m drinking a mango, strawberry & pineapple smoothie) and let’s jump right in! Please note: If you’re only interested in certain products, then I have included time stamps for each product in the ‘Show More’ section of the video. For example, if you only want to hear my thoughts on my favourite nail file, then you can skip to 2:35 in the video (2 minutes 35 seconds). Please remember to give the video a ‘thumbs up’ if you enjoyed it (it really helps me out), and share on your social media platforms if you think it’s something that might interest your friends or family. Remember to watch in HD (720p) – all you have to do is click on the gear icon at the bottom right corner of the video screen and choose 720p. ♥ essence Nail Polish Remover – R29,95 at Clicks, Takealot.com & Dis-Chem; and selected Red Square & Pick n Pay stores. ♥ QVS Beauty Nail Clipper – R99,95 at Woolworths (but Clicks also has straight edge nail clippers). ♥ essence Studio 4-In-1 Professional Nail File – R34,95 at Clicks, Takealot.com & Dis-Chem; and selected Red Square & Pick n Pay stores. ♥ LUSH Salted Coconut Hand Scrub – R160,00 at LUSH stores or in the LUSH South Africa online store. ♥ Woolworths Paradise Hand Lotion – R99,95 at Woolworths stores (it’s a new range). ♥ LUSH Lemony Flutter Cuticle Butter – R145,00 at LUSH stores or in the LUSH South Africa online store. 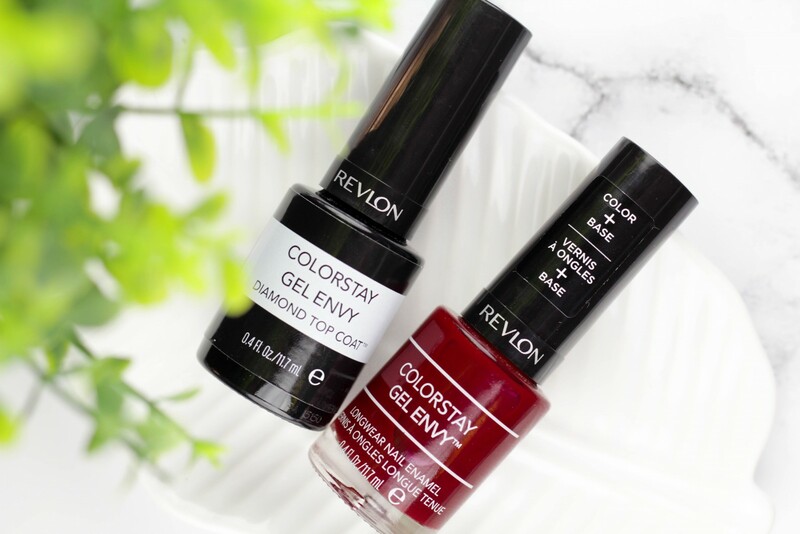 ♥ Revlon Colorstay Gel Envy Longwear Nail Enamel – R119,00 at Clicks, Woolworths, Edgars, Red Square & Dis-Chem stores; and online at Takealot.com and Zando. ♥ Revlon Colorstay Gel Envy Diamond Top Coat – R119,00 at Clicks, Woolworths, Edgars, Red Square & Dis-Chem stores; and online at Takealot.com and Zando. ♥ essie Mod Square Nail Polish – R124,95 at Dis-Chem, Clicks and selected Foschini stores. ♥ essie Good To Go Top Coat – R159,95 at Dis-Chem, Clicks and selected Foschini stores. I feel there isn’t much more to say about how great the Revlon Colorstay Gel Envy polishes are – in the video you’ll see what my nails look like after wearing the ‘All Or Nothing’ shade for almost a week. Absolutely no chips, splits or tip wear – I have honestly never had a normal nail polish last this long on me. I still refer to this as a ‘normal’ nail polish, because there’s no UV lamp involved. As you will see in the demo part of the video, just paint the nail polish and add the top coat – that’s it! A full review on these nail polishes is in the video, I highly recommend you check them out! P.S. Clicks is currently running a 3-for-2 promotion on the Revlon Colorstay Gel Envy Nail Polishes (until 21 November 2016) – check it out here (online and in-store). Disclaimer: The Revlon section of the video is in sponsored collaboration with Revlon South Africa, but ya’ll know I only feature products that I really love. Next Post Review – Urban Studio Makeup Sponges | Beautyblender Dupe? Thank you for the post , i surely will get some items . Great video, I definitely want to get the gel envy polishes. That pink is gorge! woohoo! Luv your videos, looking forward to the next 1! jy lyk pragtig ook …. dankie vir nog inspirasie dolla …. Hi Luzanne 🙂 I sent you a tweet a few minutes ago 🙂 Plz can you review the clinique superbalanced silk foundation on your channel, I luv your wear test reviews. Yes! I have also seen this foundation ins-tore and I want to know if its worth the money. I’m looking for a nice light foundation but it must still cover my redness. So true! If you take advantage of the promo, it works out to about R79 per gel polish – not bad at all!! I love your blog so much!I recently discovered it,along with beauty blogs,well let me just say I recently discovered beauty as a whole.I now (proudly,without feeling akward at all) wear make-up and put in effort in the way I look.I dont mean to sound self-absorbed or anything but,since my new found interest in beauty,I have never been so happy and confident.Keep doing what you do.I LOVE it. This was a fantastic video! I echo the reader above… definitely South Africa’s best beauty blogger!